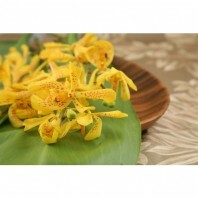 Categories: Hawaiian Weddings, Loose Orchid Blossoms, Most Popular. Loose orchid blossoms ready to be strung into your own Hawaiian lei or garland, placed on your tables, worn behind the ear, pinned as a corsage, or adorning your cocktails and serving trays at your next luau! 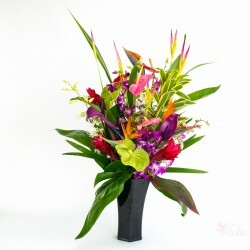 Our most popular selection for Hawaiian weddings. Use our fresh loose orchids blossoms to decorate your cake, along the bridal path, garnish the potato salad, or toss at the bride and groom. Place them in a basket for the flower girl or tie onto gift bags, the possibilities are endless! Your loose orchid blooms will be shipped with instructions for care and ideas for use. 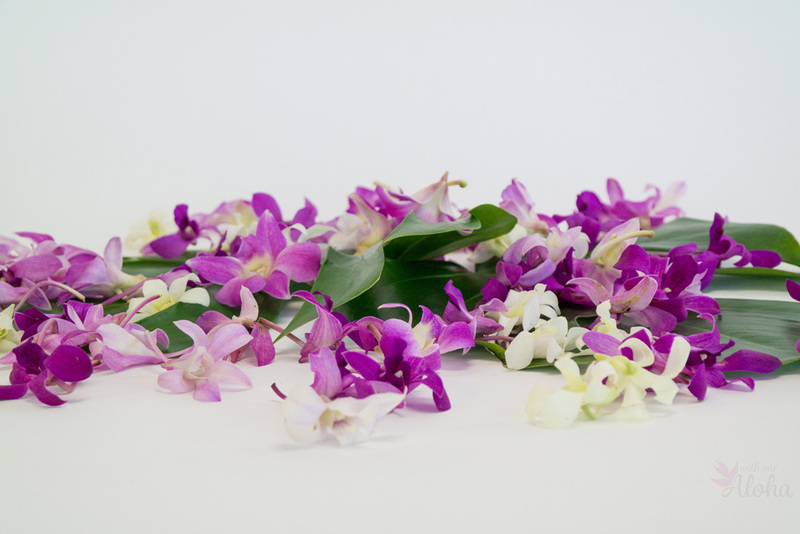 Our fresh orchid blossoms are picked fresh in Hawaii, often the same day they are shipped. They will last for about 5 days from the day they are shipped. We’ll include orchid care instructions but just open the package, mist with clean lukewarm water and keep them refrigerated until ready to use. Colors are white, solid purple and a soft lavender. We do have green at times as well. Shipped in lots of 100. Discounts are calculated when you checkout, along with shipping costs. These are dendrobium orchids. We use the same fresh blooms to make our own leis. 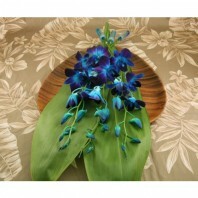 We also offer color infused orchids if you need to match a color not found naturally. 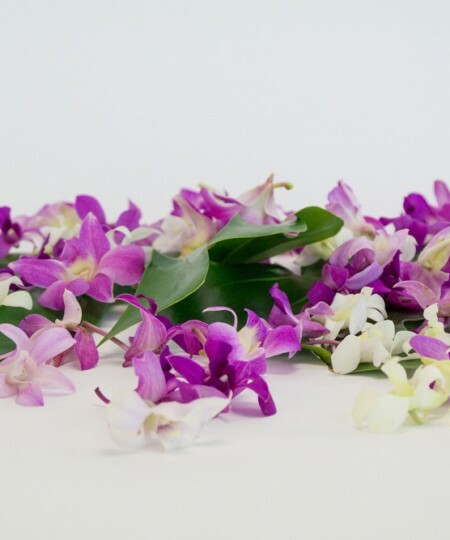 Our loose orchid blossoms are perfect for making your own leis. It takes about 50 orchid blooms to make a single lei. Many craft stores sell the sewing kits. Or you can create your own with a long needle and ‘toothy’ cotton string. 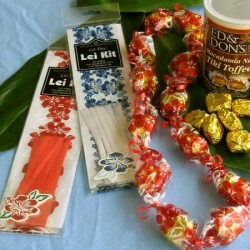 Here are some tips on lei making. You can also make your own corsages and boutonnieres. For orders of 1000 or more please order in advance or contact us for availability. We have never had anyone say they had too many! For hotel and restaurant properties we can schedule regular deliveries. Loose orchids are great for turndown service and for garnished plates. We will work with you on discount pricing, colors and delivery schedules. Loose orchids will do fine with refrigeration between shipments. 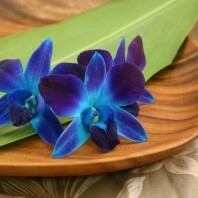 If you do something special with our loose orchid blossoms please feel free to share your story on our Facebook page. 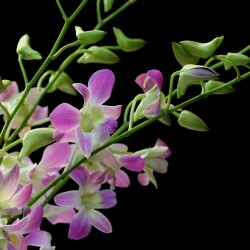 As with all of our products you can order your loose orchid blooms in advance and choose your delivery date. During times of high demand such as graduation we will sell out. Shipping costs include box and packing to make sure your orchids arrive farm fresh. No need to add ice.